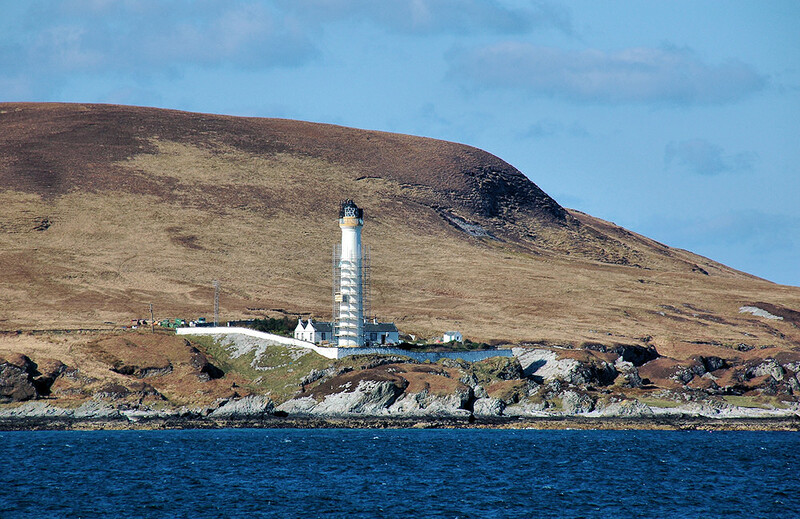 A slightly different view of Rhuvaal lighthouse on the northern end of the Sound of Islay. Scaffolding had been erected during some maintenance work a few years ago. Picture taken from the ferry to Colonsay. This entry was posted in Landscape, Lighthouses, Repost, Sunny Weather and tagged Islay, Rhuvaal, Sound of Islay by Armin Grewe. Bookmark the permalink.